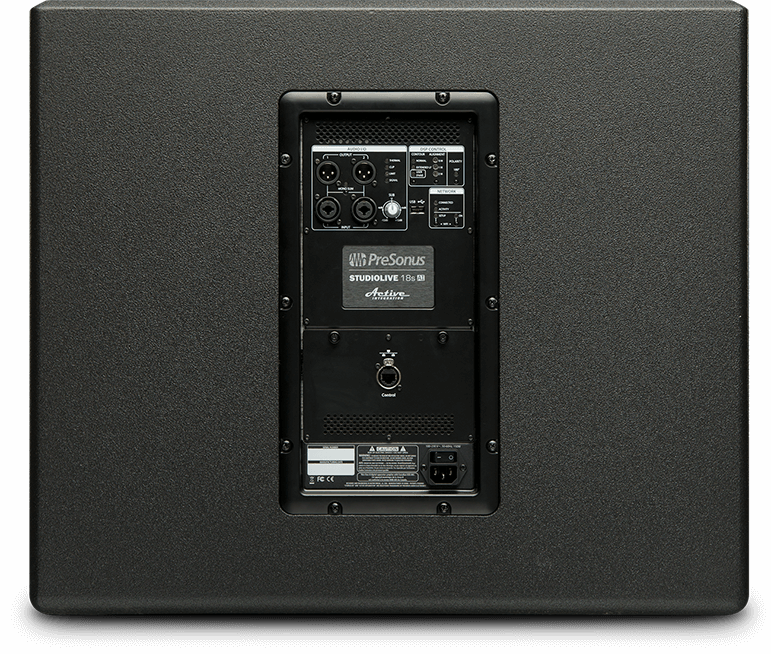 StudioLive® 18sAI Active Integration subwoofers deliver studio-monitor accuracy onstage with unprecedented onboard processing and networking features. 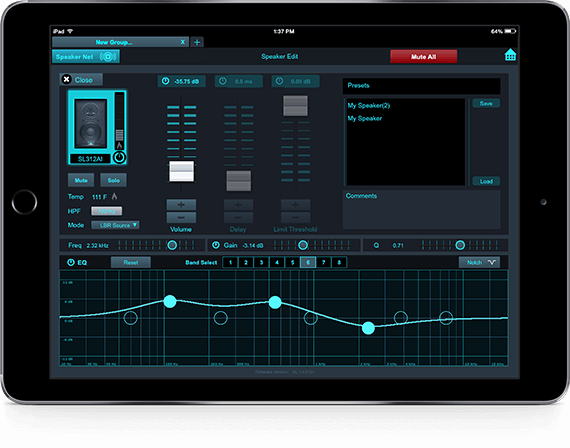 PreSonus® Active Integration technology enables wireless and wired networking control for setup, tuning, and monitoring functions, using an iPad®, a Mac® or Windows® laptop, or both. Powerful and musical, the StudioLive 18sAI naturally extends low-frequencies with a fast and accurate transient response and is a perfect mate for StudioLive 312AI, 315AI, and 328AI full-range loudspeakers, making it an ideal choice for installations and mobile applications where fidelity matters. Designed to complement full-range systems, without overshadowing them, the StudioLive 18sAI active subwoofer naturally extends the reach of your full-range systems’ low end to deliver studio monitor accuracy throughout its range. Driven by 1,000W RMS of Class D amplification, the 18sAI’s 18-inch ferrite speaker delivers exceptional low-end performance down to 35 Hz. The net result is a musical approach to sub-bass frequency reproduction that affords a natural listening experience on a large scale. Although the StudioLive 18sAI is flexible enough to work great with other powered loudspeakers, when used with a StudioLive 312AI, 315AI, or 328AI, the StudioLive 18sAI forms a true four-way system. 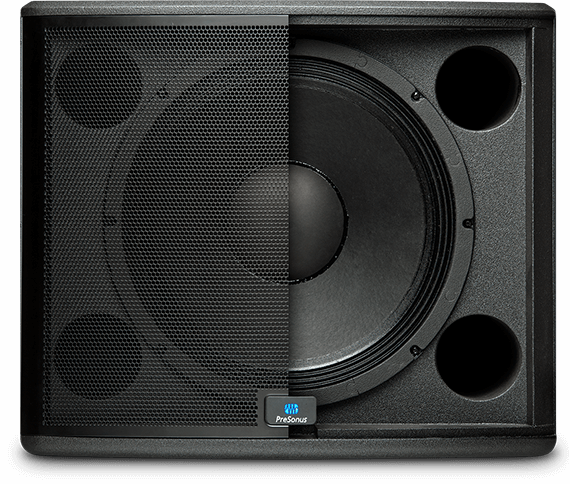 For applications that require a more linear (“flat”) frequency response between the subwoofer and full-range speaker, engage the highpass filter on the full-range StudioLive AI-series loudspeaker to readjust the phase and time-alignment, keeping the full-range system in phase with the 18sAI subwoofer. Need a little more bump? Leave the highpass filter off and enjoy the perfectly phase- and time-aligned overlap at 100 Hz between your full-range system and your subwoofer. 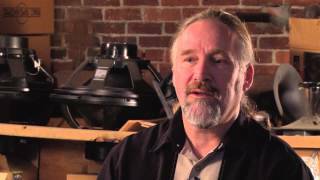 Learn more about the user controls and creating cardioid subwoofer arrays. Thanks to Active Integration, your loudspeaker-management controller is inside your StudioLive AI loudspeakers, not in a rack. SL Room Control allows you to quickly network and operate every StudioLive loudspeaker as a single integrated system. A Network Setup Wizard automatically detects each speaker, allowing you to quickly connect to your wired or wireless network. Once connected, you can create, edit, save, and recall speaker-setup parameters. You have control over the StudioLive 18sAI’s output level, mute, speaker delay, and polarity, allowing you to easily time- and phase-align your loudspeaker system. Among other things, this lets you create simple or complex subwoofer arrays. 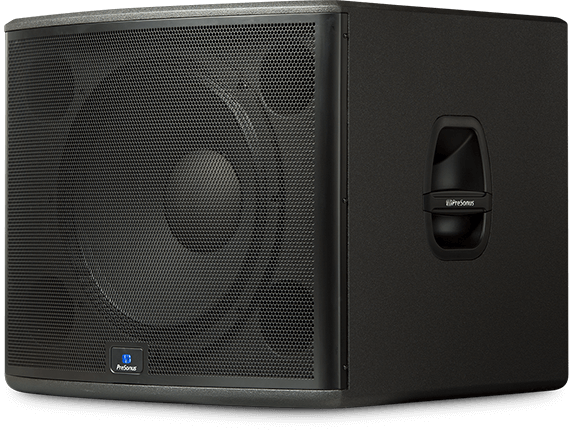 A basic cardioid subwoofer array allows you to direct low-frequency content where you need it. Simply stack two 18sAI subwoofers, with the top 18sAI facing the opposite direction. Engage the polarity reverse and the 1M alignment delay preset on rear panel of the top 18sAI, and your cardioid array is ready. Launch SL Room Control to create more complex subwoofer networks. All functions can also be remote-controlled from SL Room Control, allowing you to engage Extended LF mode to provide enhanced sub-bass frequencies. SL Room Control changes are stored in a User preset that can be quickly defeated via a rear-panel button. You also can monitor performance contouring, dynamic limiting, excursion limiting, real-time temperature, and clipping. The rear of the StudioLive 18sAI reveals stereo line inputs (XLR/¼-inch combo) and full-range, switchable stereo/summed-mono line outputs (XLR). An optional, pull-tested Sub Pole lets you safely and securely mount a StudioLive AI full-range system atop the 18sAI. An optional, mountable, heavy duty Sub Dolly lets you roll your StudioLive 18sAI in and out with minimal stress, and the lightweight plywood enclosure includes ergonomic side handles. Whether out on tour or installed in a venue, the StudioLive 18sAI subwoofer mates perfectly with StudioLive AI full-range loudspeakers to deliver studio-monitor accuracy at incredibly high SPLs. 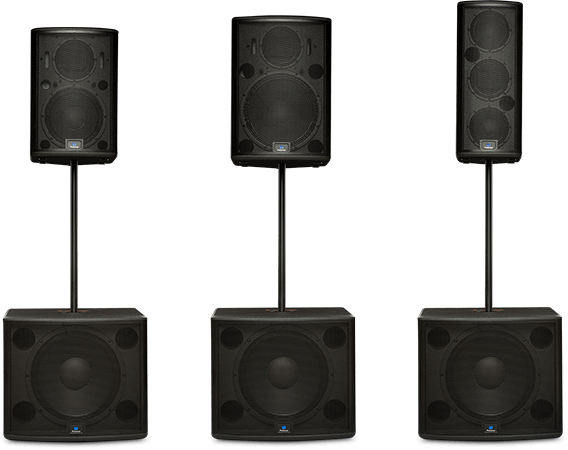 With extensive software control and wired and wireless networking, it offers advance capabilities that go well beyond conventional point-source loudspeakers, yet it’s easy to set up and use. Check out the StudioLive 18sAI at your favorite PreSonus dealer.